Unless there's a particularly hot topic on the agenda (like, oh, vacation rentals), attendance at bimonthly City Council meetings can be pretty sparse. Especially when you subtract the people required to be there—select City staff, people testifying on agenda items, reporters. But sometimes, things get a little spicy. And for that, we can usually thank councilors Barb Campbell and Casey Roats, the two newbies occupying opposite ends of Council's political spectrum, and side-by-side seats. Young conservative Casey Roats interned for Rep. Greg Walden and runs his family business, Roats Water System. Progressive activist and former school teacher Barb Campbell owns the quirky Japanese toy store Wabi Sabi. Still, they have a few things in common. They both speak their minds. 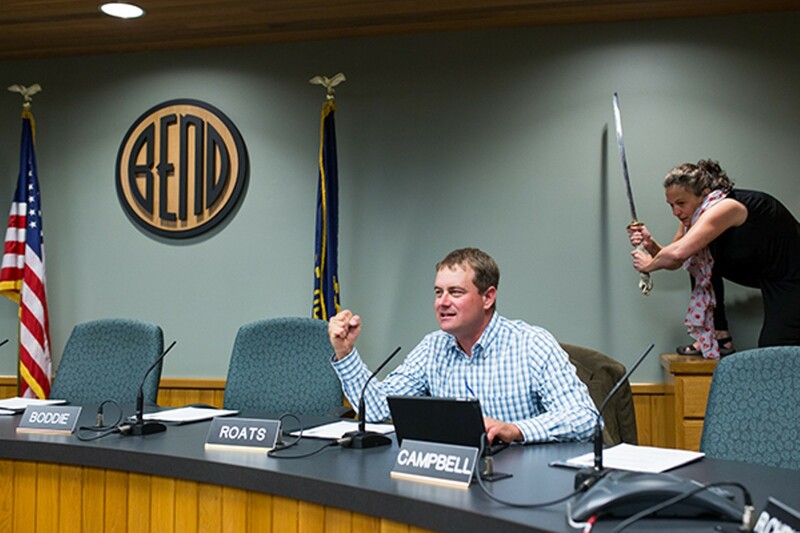 At a recent Council meeting Roats acknowledged his sometimes-colorful quotes, saying, "I apologize in all seriousness for leaving a stupid quote in the paper."